Piano Artist, Marina Kostik, was born in 1957, Vladivostok. Studied in Tallinn at Georg Ots Musical College under professor Anna Klas and at the Estonian music academy under professor Bruno Luk. Marina Kostik has the academic qualifications of soloist performer, teacher, accompanist and soloist of chamber ensembles. 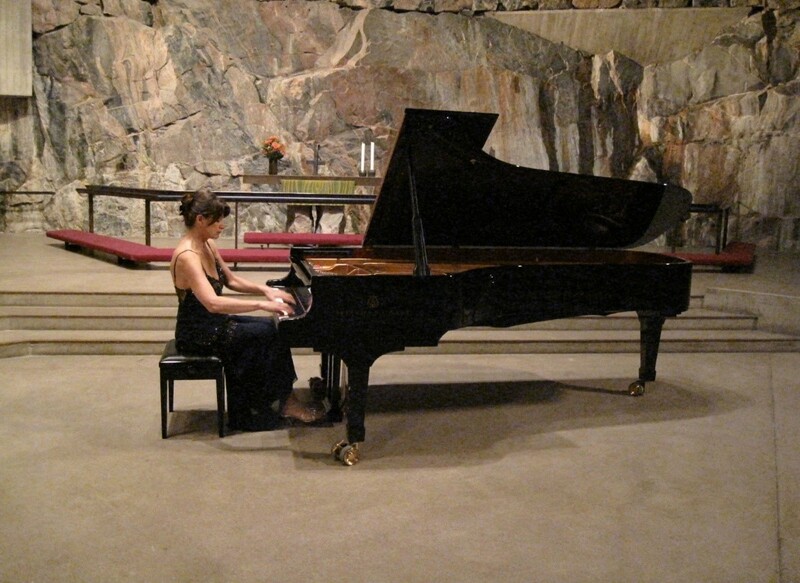 Marina had successfully participated in several piano competitions during studyings. She had performed on radio and TV casts in Estonia. Marina has given concerts in Estonia, Finland, Germany, Poland, Russia. Lives in Finland, were she also organized musical festival “You and Vano” for several years. Composing and performing peace’s of her own is an important part of her activity. Marina is at her best as a presenter of strong, emotional masterpieces. She interprets the works as clear entities, from which details build an enjoyable music experience.